I was so excited that I was going to be able to view the full lunar eclipse in Japan. No the best of my knowledge I had never seen one before, and I was determined to stay awake and alert. I pretty much knew going into this life time experience that my camera gear was not going to be up to the task of getting those beautiful, clear, images of the moon. 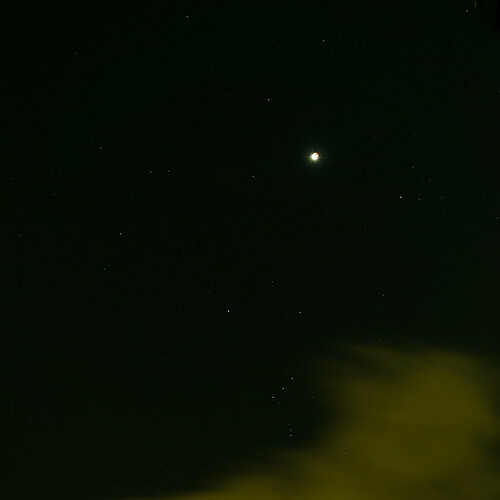 I decided anyway to go ahead and try to see what I can see with both my naked eye and my lens. I got out my Canon 5D with a sweet 100mm lens and a crappy 300mm zoom lens and my Ricoh GRIV. I didn’t really expect to get much with these cameras. 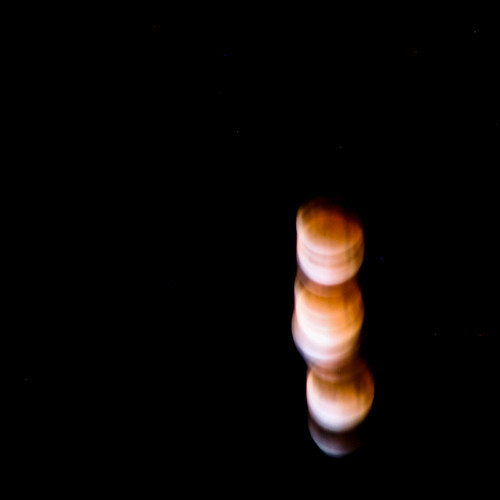 It was crazy cold out and I set up my tripod on my patio and took a couple of test sots around 8 p.m. Tokyo time, about 90 minutes for the beginning of the lunar eclipse and about 3 hours from the peak of the red hued moon. The tests did not come out so well, but I forged ahead. I jumped in and out onto my patio on and off for the next 4 hours or so. Looking up into the heavens was beautiful. I was able to bear witness to an event for the first time in my life. 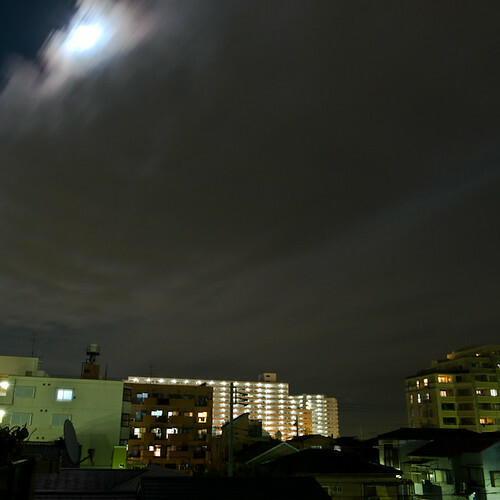 I will never forget looking up into the skies that cleared up around 11 p.m. and watch the shadow fall across the moon. The stars and other heavenly bodies are reminders of another ancient way of keeping time. The moon is not to be worshiped but it is there as an heavenly guide to the times and the seasons. I thought back to our ancestors that looked to the heavens in accordance to set their calendars and planting, and reaping of their crops. I became part of this long line of sky watchers. I hit the sack at about 1 a.m. Got up the next morning with circles on my mind so I made my wife and I pancakes for breakfast. I started to go through and edit the images from the night before and so many were just blah! I kept flipping through them until I found that best expressed both my experience and the pushing of my equipment to match that vision. These three images are a result of that. I had to use what I have to the best of my ability. I am sure there were some brilliant images taken last night. These are not those images. These images are the best that I could do. The memories of spending the night out on my patio with my wife in the cold winter air will last a life time. This entry was posted on Sunday, December 11th, 2011 at 5:21 am	and is filed under Photography Blog. You can follow any responses to this entry through the RSS 2.0 feed. You can leave a response, or trackback from your own site. it was pretty amazing…but cold. i am glad to have witnessed it.